Mathematicians from The Sixth Form College, Solihull attended Maths Fest 2018 this week to develop their mathematical understanding. 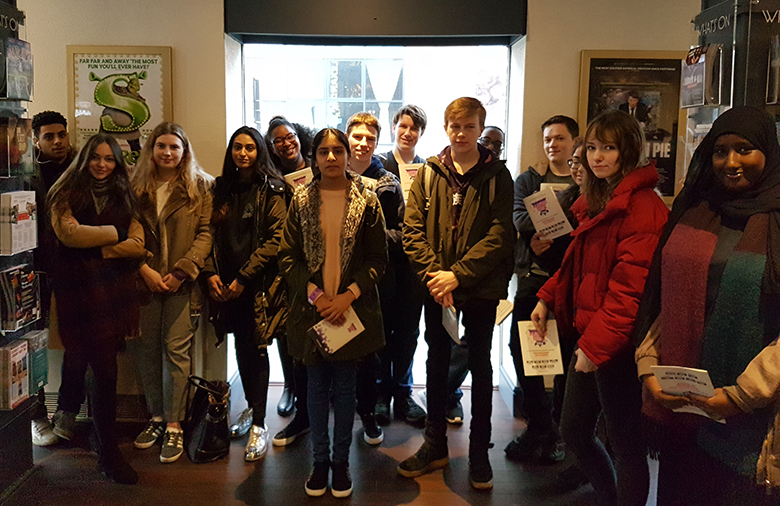 Held at the Alexandra Theatre in Birmingham, the first year A level Mathematics students attended this day-long event to hear from some of the best mathematical speakers from around the world. Matt Parker, maths teacher, stand-up comedian and founder of MathsJam was the compere for the event, introducing the speakers and entertaining the students with his favourite maths puzzles. Among the speakers at Maths Fest 2018 was Dr James Grime from the Enigma Project. His presentation was on code breaking and included a genuine WWII Enigma machine. Aoife Hunt delivered another talk and hers focussed on simulation modelling and the maths behind crowd movements, important to planning events. Before the lunch break, Ben Sparks from the University of Bath delivered a presentation on maths within music. In the afternoon, Rob Eastaway demonstrated some cards tricks to the students and delved into the maths behind these tricks. Programmer and Digital Artist Seb Lee-Delisle used his slot on stage to show students how combining maths, coding and art can create complex graphical effects. Finally, TV star and University College London lecturer Hannah Fry delivered a session on hidden mathematical patterns behind seemingly random acts like flipping a coin or dropping a ball. Undergraduate students from universities like Warwick, Manchester Metropolitan, University College London and the Open University formed the Maths Fest Crew to support the students during the event and get the students involved.